"Victor really did go out of his way to satisfy my concerns, promptly attending to minor corrections, major reworking of a very..."
Victor really did go out of his way to satisfy my concerns, promptly attending to minor corrections, major reworking of a very old laundry sink pump that ceased to work once it was moved for the job, and working in the cold windy outdoors to make the siding that had to be cut to install the pipes functionally sealed and also looking good. Never once did he display annoyance at my concerns and didn't ask me to pay until ALL my concerns were addressed. "We were very pleased with the first project you did so we only thought of your company when we wanted to do the entire basement." We were very pleased with the first project you did so we only thought of your company when we wanted to do the entire basement. "once again, Victor is an extremely conscientious worker and ensured we were pleased with every aspect of the job." once again, Victor is an extremely conscientious worker and ensured we were pleased with every aspect of the job. "Victor and his team couldn't have done a better job. He asked for my feedback throughout the day and everyone was very polite..."
Victor and his team couldn't have done a better job. He asked for my feedback throughout the day and everyone was very polite. The whole job took exactly 12 hours to complete and they accomplished it in one day!Thank you everyone! I initially discovered Quality 1st with a quick online search and decided to choose their company because I noticed they were a company that specialized in basement waterproofing and met all of my needs. Overall, I am very fulfilled with the work done at my home by Quality 1st. My salesman was courteous and competent, he helped me choose the best products. Victor Leon and the installation crew was nice, clean, respectful and effective. We thought about doing this for two months are are very satisfied with everything now that we had it done. The office was very thorough, cordial and efficent. The guys who did the work were super. We got multiple quotes from multiple contractors. We heard about you on line and thought about it for two months, but like we said are very satisfied. I am very satisfied with the job Quality 1st did at my home. They waterproofed both my basement and crawlspace. My inspector John did a good job at explaining all of my options and the products. The office staff and installation team was very helpful and professional. I chose to go with Quality 1st because of the recommendations I saw on Ron Hazelton's and Bob Villa's website. I chose Quality 1st Basement Systems because they were professional and had a good price. The salesman and his presentation were amazing. I am very satisified! I am extremely pleased with the job completed by Quality 1st Basement Systems. My design specialist Ken was very knowledgeable and friendly. I found Quality 1st online and chose to go with them because I had recently purchased my home and needed to get some repairs done asap. They kept me updated on the process and the price of the project was below my budget expectations. The installation crew led by Victor was quick and clean. Victor Leon and his installation crew did a great job installing eight Smart Vents and two floor jacks. My 90-year-old home has a cement block foundation that was quite hard and resistant to removal, but Victor was determined and patient. Through this he was eventually able to break down the foundation, and install the vents. Now my dining room is noticeably improved with this added stability. I would highly recommend Quality 1st Basement Systems to anyone in need of foundation repair projects on their home! I am extremely satisfied with the basement waterproofing you did for me. The staff was very polite and professional. The warranty and BBB rating of A+ helped in my decision to have you do the work. The installation team were polite, professional, fast yet thorough. I've been using Quality 1st for several years and they've helped me with various crawlspace issues. I am very satisfied with the job done! My salesman Collin Peare was thorough, and Victor Leon with his installation team were excellent. I wanted to commend the team that just completed the job at my house this week as they were outstanding. I was very satisfied with not only the quality of work but the level of professionalism . The supervisor, Victor was very through in explaining everything and he had the team very structured and organized . Please make sure to recognize the efforts of this team as they made me a very happy client. Victor has a tremendous understanding of the industry having spent 11 years installing basement waterproofing systems. Previously he worked for our masonry reconstruction division. Victor brings a focused, intelligent approach to each job he is involved with and is a true professional. His crew consists of 5 knowledgable and skilled members. In his spare time he enjoys being with his friends and family. Stabilizing Foundation with Helical Piers! Belmar Wet Crawl Space Problems, Solved! The owner of this basement in Maple Shade, NJ needed a new sump pump. Quality 1st Basement Systems installed a TripleSafe sump pump. The three pumps and battery back up will keep this basement dry. Quailty 1st Basement Systems replaced this drafty window in Beverly, NJ with a vinyl-framed basement window. A basement in Willingboro, NJ had bowing walls that needed fixing. Quality 1st Basement Systems stabilized it with CarbonArmor, which is stronger than steel. CleanSpace Crawl Space lining creates a vapor barrier in this crawl space. The vapor barrier seals the crawl space from the earth and outside air which would create humidity in the space. With the CleanSpace liner, this crawl space will stay dry and clean! A homeowner in Wrightstown, NJ had a dramatically bowing foundation wall. Quality 1st Basement installed a PowerBrace wall reinforcement system to straighten the wall back into place. Quality 1st Basement Systems repaired this bulging foundation wall in Hopewell, NJ with a PowerBrace system. The steel beams will move the bulging wall back into place. A homeowner in Flemington, New Jersey needed their foundation stabilized and contacted Quality 1st for a solution. Helical Piers were installed in order to restore the foundation. Helical Piers have helical plates welded to the pier shaft. These plates help to pull the pier into the soil and provide an anchor as the weight of the foundation or structural element is transferred to the pier. Helical Piers are a fast, effective installation and can help lift settled foundations back to the original level. The owners of this Allentown, NJ home wanted to put their home on the market as soon as possible. The horizontal crack in their foundation wall would prevent them from selling the property and needed to have it repaired. Quality 1st Basement Systems installed Power Braces to the walls to stop them from bowing and prevent furthing cracking of the foundation. The house is now safe and ready to be put on the market! This Princeton Junction, NJ basement always felt really cold. It also flooded at times. Quality 1st Basement Systems waterproofed the basement using a full, state-of-the-art waterproofing system. The installation crew also used ThermalDry Basement Wall System to insulate the basement. ThermalDry Basement Insulation reflects over 90% of the heat back into the basement keeping it warmer and keeping utility costs down. This basement is significantly more comfortable and ready to be finished! The owners of this Annandale, New Jersey home noticed horizontal cracks in their foundation wall. The foundation cracks were so large that sunlight was seeping through. Concerned, they called Quality 1st Basement Systems for an estimate on how to fix their problem. Quality 1st Basement Systems installed CarbonArmor wall reinforcement system. CarbonArmor fixes foundations quickly and easily, but with a lot of power. CarbonArmor is a tough carbon strap system that goes over the foundation and secures the walls in place with a locking system. The carbon straps are installed with a heavy-duty expoy. Once the repair is complete, CarbonArmor can be easily painted over and hidden. Now this foundation is fixed and the home will no longer have foundation problems. This homeowner in Cream Ridge, NJ had cracks in her concrete basement walls which caused water to leak into the basement. The walls were also bowing. The Quality 1st Basement Systems installation team completed the foundation repair using CarbonArmor foundation stabilization system. A SuperSump sump pump, UltraSump sump pump, and the WaterGuard basement waterproofing system were also installed to waterproof the basement. This foundation is now safe, and the basement is a dry, healthy environment. A homeowner in Lakehurst, New Jersey called Quality 1st Basement Systems for a free estimate on crawl space encapsulation and insulation. Their crawl space was humid and the fiberglass insulation was messy and wet. Quality 1st Basement Systems installed CleanSpace crawl space vapor barrier. CleanSpace stops moisture from entering the crawl space. Humid crawl spaces can grow mold and mildew, and the wet air can seep to the rest of the house. To replace the wet fiberglass, SilverGlo insulation was installed. SilverGlo insulates better than fiberglass, and is much cleaner. Fiberglass can grow mold, is not waterproof, and does not insulate cold at the source. Now this crawl space has a lower humidity, stays dry, and will save the homeowner money on heating. Proper crawl space insulation and vapor barrier pays for itself in savings! A homeowner in Barnegat, New Jersey was experiencing humid and nasty in their crawl space and contacted Quality 1st Basements for a solution. Our System Design Specialist inspected the crawl space and suggested it be encapsulated in order to eliminate the moisture and humidity. First, Drainage Matting was installed on the crawl space floor to make sure water is not trapped underneath the matting. The matting has raised dimples in order to give the water a channel underneath the crawl space. To seal the crawl space, CleanSpace vapor barrier system was installed to prevent water vapor and humidity from passing through. This durable, bright white liner keeps the crawl space dry and protects the structure and insulation from mold and rot. A sump pump was also installed to make sure the crawl space stays dry and any water entering gets pumped out. The SmartSump sump pump is ideal for crawl spaces because without one, the crawl space can still be vulnerable to groundwater and leaks. This sump pump also comes with an alarm to alert the homeowners of any water in the crawl space. The health of your crawl space effects the overall health of your home, don't wait to address the issues, not when Quality 1st Basements has the solutions! A homeowner in East Windsor, NJ had an existing sump pump in their basement, but it was working poorly and there was often water in the well. To solve this problem, Quality 1st installed a new sump pump, TripleSafe. TripleSafe is a sump pump that provides three levels of protection for the basement. Meaning the TripleSafe has three pumps built in to provide full protection in case any of the pumps fail. Also, in case of a power outage the UltraSump battery backup sump pump, set at the highest level, will pump 11,500 gallons or more on a fully charged battery! With a new sump pump this basement will be free of water. An old, musty sump pump was replaced with a SuperSump sump pump. The SuperSump sump pump keeps this Readington, NJ basement dry. Quality 1st Basement Systems removed the damaged fiberglass from this Lacey Township, NJ crawl space and installed CleanSpace vapor barrier. Now the crawl space is dry and insulated! With help from System Design Specialist, Tom Carrano, and Foreman, Victor Leon, Quality 1st Basements was able to provide this Jackson, NJ homeowner with a safe, new entryway into their crawl space. Their old door to access the crawl space was rotting and allowed for water, humidity and cold drafts to enter inside. Tom recommended The Turtle which is a durable plastic crawl space access well. Providing an airtight cover, it serves as a crawl space access well AND door combined! Quality 1st Basements stabilized this failing foundation wall with our PowerBrace™ Wall Repair System! When our Senior Design Specialist, Jeff Nero, noticed the titling inwards of the foundation wall and the large cracks from the movement, he recommended the PowerBraces for permanent stabilizing and to stop further damage. Foreman, Victor Leon, and his amazing team, got to work and installed three PowerBraces to potentially straighten the wall. Our team brought the homeowner piece of mind that their foundation was secured and stable with the help of our Foundation Repair System, PowerBrace. If you are experiencing large interior foundation cracks and you notice the walls are either bowing or tilting inward, then you need our PowerBrace Wall Repair solution. The PowerBrace™ system is made of steel I-beams that are secured to the joists above the wall with steel brackets. These brackets allow our Service Technicians to easily adjustable each beam over time. The tightening of each PowerBrace will allow for a gradual pull back towards its original position. The foundation walls of this Bayville home were bowing and had horizontal cracks. The foundation problems were due to soil outside the home expanding due to soil saturation from heavy rains. The expansion of the soil put pressure on the foundation and caused the bowing walls which created a horizontal crack in the foundation. Quality 1st Basement Systems installed PowerBraces to stabalize the wall and eventually shift it back to its original place. This foundation is now safe and will return back to its original position! This property was recently purchased and the homeowner was informed by his home inspector that he should insulate and encapsulate his crawl space. The home inspector recommended that he contact Quality 1st Basement Systems. The installation team installed CleanSpace crawl space vapor barrier around the entire crawl space to seal the space off from the damp and cold dirt floors. The homeowner is very pleased with his crawl space and has noticed that the rest of the air in his home seems cleaner. Toms River homeowner noticed that her foundation was settling. Quality 1st Basement Systems installed Push Piers around the foundation to stabilize the home. Push Piers were installed against this foundation footing to lift the home back to its original position. After a pipe burst, a Toms River, NJ homeowner needed his crawl space waterproofed. Quality 1st Basement Systems installed a CleanSpace crawl space encapsulation system and a sump pump to keep it dry. Quality 1st Basement Systems replaced this leaky, old basement window with a bright new SunHouse waterproof window. Now this Toms River, NJ basement has plenty of natural sunlight and doesn't get leaks! Exposed dirt in this crawl space were causing issues for this North Brunswick home. The earth is naturally wet and as the soil dries during warmer temperatures, the water vapor moves upward into the rest of the home. Water vapor from this crawl space was causing swollen doors and windows, making them stick. To stop the water vapor, CleanSpace crawl space encapsulation lining was installed to transform the crawl space into a healthy, dry space. 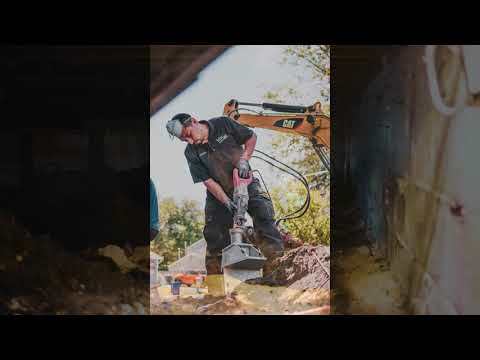 With the help of System Design Specialist, Mike D and Project Foreman, Victor Leon, Quality 1st Basements had another satisfied customer who was amazed by their entire experience from start to finish. SunHouse Window Wells help protect your basement from wind, rain and snow, keeping the basement dry. A homeowner in Spotswood wanted to finish his basement in order to create a finished space for his family to enjoy. However, he wasn't sure what kind of floor to put down due to past issues of basement flooding. He called Quality 1st Basement Systems and the crew installed the revolutionary ThermalDry Floor System. ThermalDry tiles are made of plastic, which makes them waterproof and mold resistant. They also work to maintain heat and keep outside air from seeping in. Best of all, these tiles come in a variety of colors and styles to individualize tastes! Quality 1st Basement Systems installed the ThermalDry Floor in this Spotswood basement. ThermalDry system is made up of modular tiles that lock together. Each tile has pegs on its underside, which creates a space for water seepage and cold air to flow without transferring through. ThermalDry keeps basements dry and feet warm! The foundation of this East Brunswick, NJ home was failing. The homeowner had noticed that the basement walls were bowing so he contacted Quality 1st Basement Systems. The installation team fixed the foundation walls using Channel Support Brackets to stop the walls from sliding out of place. The home is now safe and stabilized! A crawl space in Howell, NJ was musty and damp. Quality 1st Basement Systems encapsulated the area with CleanSpace vapor barrier and installed a sump pump to keep it dry.